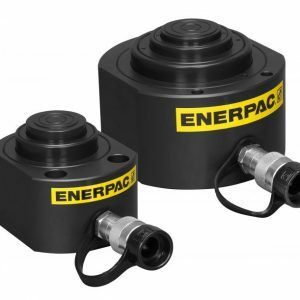 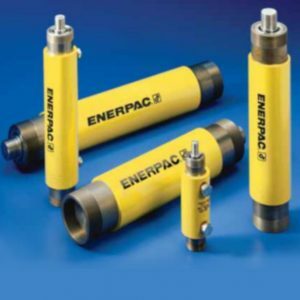 Jonel are authorised distributors for Enerpac, who provide the largest selection of hydraulic cylinders and lifting systems worldwide. 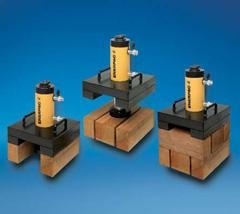 We have a solution for virtually any application – lifting, pushing, pulling, bending or holding. 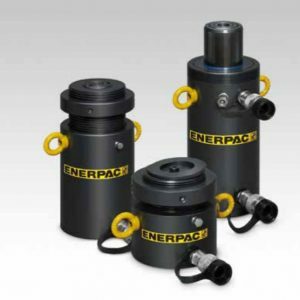 Enerpac offers hundreds of different configurations of mechanical and hydraulic cylinders and lifting systems, plus products ranging from hydraulic jacks and lifting bags, for portability and tight fits, to engineered systems for precise control over multiple lift points. 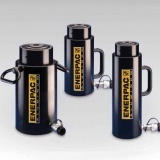 Utilizing the latest in alloy technology, high-strength coatings, seal design and bearing materials, Enerpac aluminum cylinders can change the way you think about your cylinder applications. 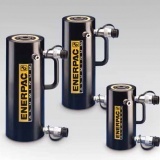 Our lightweight cylinders provide the strength of steel with the weight, transportability and easy positioning of aluminum. 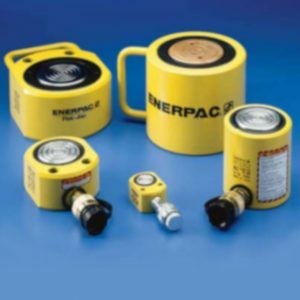 View the full Enerpac Cylinder catalogue here. 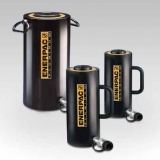 Innovation is at the heart of the new Summit Edition of cylinders, delivering the high quality construction that you expect from Enerpac. 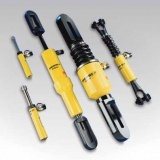 The durability ensures your job gets done safely and reliably. 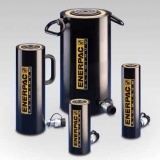 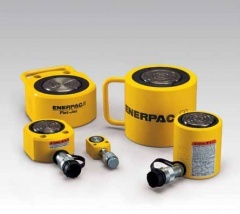 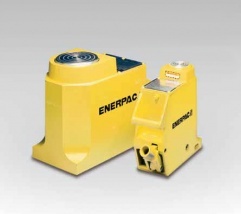 Enerpac low height cylinders provide the maximum power to height ratio. 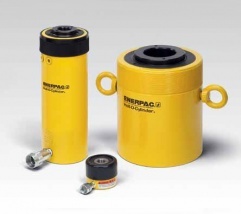 A compact, low height cylinder design is ideal for confined spaces where other cylinders will not fit. 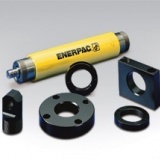 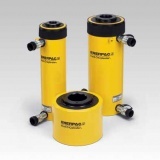 Enerpac hollow plunger cylinders provide lightweight, versatile solutions for tensioning and testing. 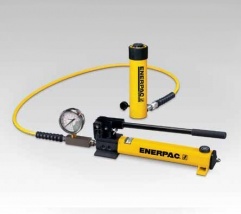 Enerpac long stroke / high cycle cylinders provide high precision and performance and are some of the most versatile Enerpac cylinders. 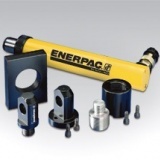 Rugged enough for the toughest job site uses and precision designed for high cycle industrial uses.